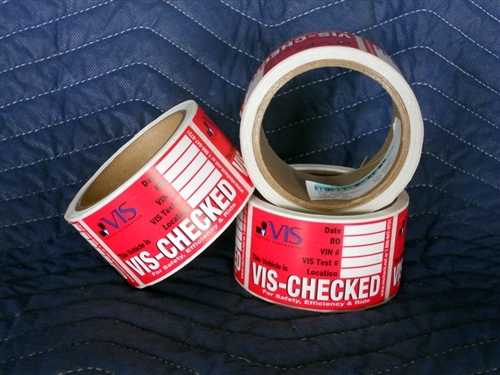 The VIS CHECKED window sticker comes in a roll of 100. Once a VIS CHECK has been completed this window sticker reminds the customer of what you have done and when to have his vehicle inspected again. Download Cable 5m VIS-Check Spotlight with 10 m Cable Price Drop! Spotlight with 20 m Cable VIS-Check Price Reduced!